With more than 400 wineries, miles of rugged Pacific coastline, towering redwood forests, and its close proximity to San Francisco’s Golden Gate Bridge, Sonoma County is a traveler’s dream vacation spot in California. Tasting rooms in the world-class Sonoma wine region range from simple and rustic — two wine barrels and a slab of redwood as an outdoor tasting bar. Over 12 month engagement period, we generated significant interest in the Sonoma through a phased and staggered cross platform strategy. The full PR brochure delivered to the county tourism council can be downloaded through below. When Sonoma county approached ashaINK with the ask of increasing brand awareness, the first step at ashaINK was to research the brand perception and acceptance and from there define the scope and goal of the engagement. Statistics on the visitors of the county and average spend during the visit helped in determining the goals for the campaigns. over 40% of visitors were simply "stopping by" on a day trip to or from San Francisco. Typical demographics of visitors was 44 years old and 60% have an household income over $80,000. Given the dual nature of the ask for the project, we strategized the solution with a two-pronged approach over a period of 12 months. Exposing the current visitor segment to the other activities unique to Sonoma county, in addition to splendid wines. Targeting new segments, national and international, with interest in alternate adventure ideas. Starting with the typical profile of Sonoma county visitors, aged 44 years with annual household income of atleast $80K, we identified key interest profiles of the target demographics. Then we used a multi-platform approach to disseminate the information through customized campaigns. Keeping in mind that 80% of travel decisions are made by women, we focused on media outlets that resonated with the interest demographic and had a high female readership. With 80% of travel decisions made by women, we focused on media outlets that resonated with the interest demographic and had a high female readership. Based on the market analysis, our choice of medium was national media publications, blogs and special interest magazines. Within the publishing category, The Daily Meal. With an audience size of over 13.9Mn, 77% of whom are women aged 46 years, this was the medium of highest focus. The content strategy here was to develop a three part travelogue that highlighted the various activities and cultural interests that the region offered. The goal of this, beyond general exposure, was particularly targeted with brief's requirement of extending the number of visitor days in the county. This content was redesigned and cross syndicated to Asha's food and travel blog as well as published in the Summer edition of NOURISHED magazine, which, has an international distribution. With the aim to entice new customer segments, we focused on the 30-40 age group and identified key parameters for choosing a travel destination. High on the priority list was access to unique and smaller scale experiences based on stats (source) on Sonoma businesses. 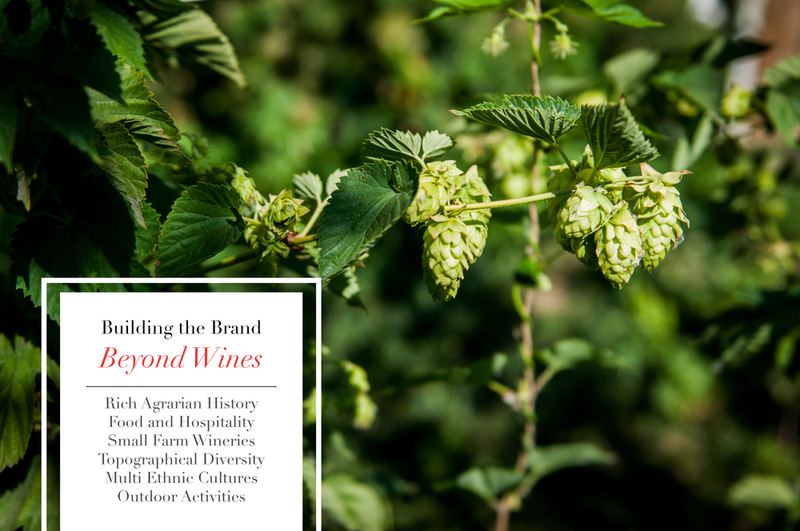 Accordingly, we syndicated content to The Honest Cooking digital publication highlighting micro scale wineries in the region with a full scale review of one winery that was a third generation grape farm. The overall exposure timeline was 12 months with staggered releases every three months across media sites, social and magazines. Finally, a full PR brochure was delivered to Sonoma County Tourism council with high resolution photographs and crafted itinerary for distribution to visitors onsite and offline. The targeted and customized content resulted in higher post engagement relative to average posts on The Daily Meal facebook page. Chosen for the savvy travel readership looking for alternate adventure ideas. The publication readers display a definite partiality to drinking wine, favoring trusted recommendation and researching new vintages online. Full spread feature published in the Summer edition of the magazine. Magazine is distributed to over 1600 subscribers internationally with over 6,000 monthly digital impressions through organic placements on blogs and social pages. The article was converted into a well designed and styled PR ready brochure with high resolutions photos and full itinerary. Click Here to start you download. Thank you for your interest in our work! For inquiries and consultations, please email asha@ashaink.com.